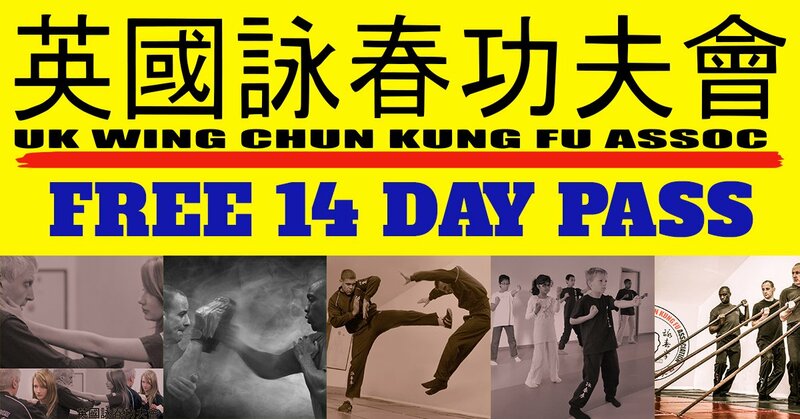 The Wing Chun Kung Fu Dispersing or Palm Up block. Taan Sau is generally accepted as the most distinctive individual technique in Wing Chun Kuen. There is one theory that states that a gentleman named Taan Sau Ng was the true founder of Wing Chun. This story has some credence in that Taan Sau Ng reputedly worked on the Opera Troupe Boat and was well versed in Kung Fu. Taan Sau is often translated as as palm up hand and is, therefore, easily recognisable. The blocking area is generally on the radial side of the forearm by the wrist. This is slightly unusual as Bong Sau, Gaan Sau and Jum Sau all use the ulna side. Taan Sau is most frequently used in chi sau, where it is an effective cover. Applying the Taan Sau shape often creates space allowing the practitioner to delink or ‘slip to strike’. As you can see in the photo below, Sifu Phillips is applying outside gate Taan Sau on Martin Burton. Martin is big and powerful. However, it can be seen that Sifu Phillips is able to offset his forward momentum by applying pressure across his opponents’ stance with Taan Sau. The low strike element is relatively insignificant and is a pose, in this instance, for distance judgement. On the wooden dummy the Taan Sau is applied to the outside of the upper arms as you look at it (see top photo). This is because the dummy arms are angled away from the trunk and if you do not successfully get the correct angle of application you will be ‘pushed’ away by the dummy. This encourages correct placement and good footwork. The strike placed with the taan sau is not as significant as the positioning on the dummy. After all, in a test of hardness the dummy wins every time!! In the photo below Sifu Bobby Beach (Left) and Sifu Kevin Oldman (right) perform inside gate Taan Sau. This is considered more hazardous due to the imminent danger from your opponents other arm. However, if you apply the punch to the nose simultaneously with the block the danger is minimised. Taan Sau to the inside gate will not remain too close to the centre line, as a punch with even a slight hook will immediately penetrate. This gives rise to the idea of Taan Sau being a dispersal hand. 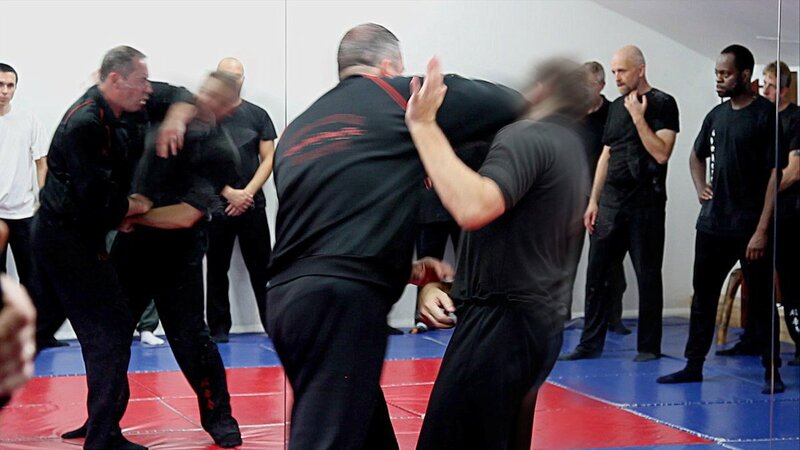 The Taan Sau outside gate is best applied against straight punches and is often applied from a very low hand postion and facilitated with a small Pak Sau to establish control of the Centre Line and opponents elbow. Taan Sau can also be performed using the ulna side of the forearm. This variation would rise to block rather than move forward. The technique is ideal for the application on Huen or Kau sau (circling), but must not be confused with the Jum or Chaam Sau. Taan also can adapted to become Lau Sau very easily. Taan Sau is a useful technique particularly reinforcing the principles of interception and the common gate change from outside to inside. Train well, and train safely.